The Natural Resources Division of Skagit County Public Works has issued a draft Martin Road Feasibility Study. It relates to the potential erosion of Martin Road by the Skagit River. The county is asking for public comment on the report. Public comments are requested by June 30, 2016. 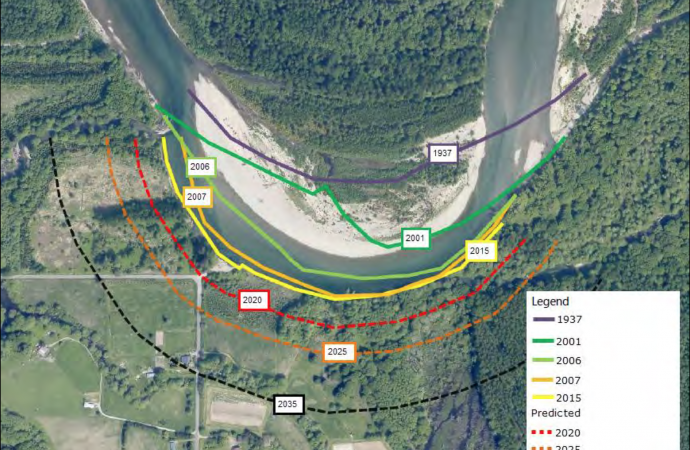 Here are four images from this study showing the shift of the Skagit River toward Martin Road since 1937. 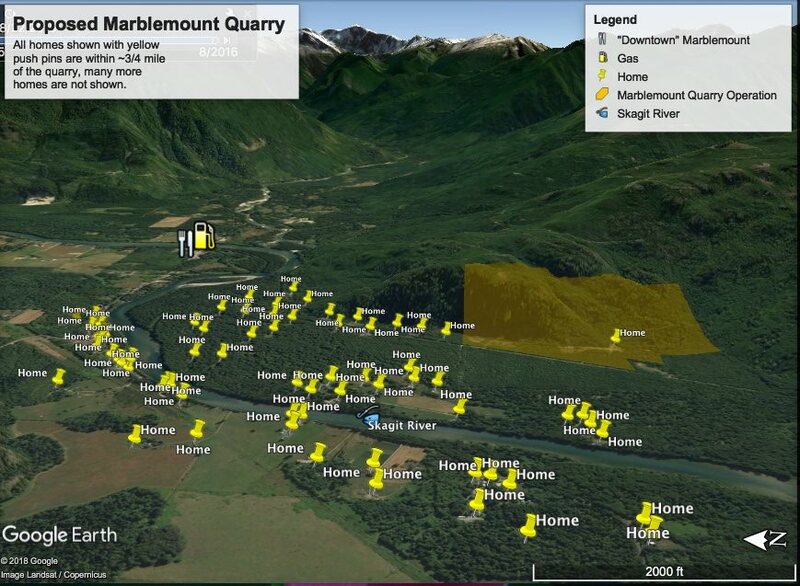 1) I recommend that Skagit County select the Martin Road Abandonment alternative as described in the 4.2 analysis. While there are advantages both practical and aesthetic to maintaining our rural neighborhood road, I feel the taxpayer expense of the Bank Hardening alternative cannot be justified and is fighting what the river is bound to do in a floodplain. Additionally the Abandonment alternative has benefit to the fishery. 2) I do NOT favor the (5.3) Construct Alternative Route Option. Given the small loop that this would make (Hwy 530, Rockport-Cascade-new Martin leg) – it does not seem worthwhile to construct a new segment of road less than a mile parallel to Rockport-Cascade Road. 3) Additionally I submit: Consider adding a pedestrian bridge over Martin slough where the culvert is removed on north Martin Road. 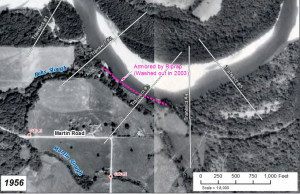 In addition to mitigating to a (minor) degree the loss of road for residents, this would maintain some visitor / tourist activity that exists as people now seek to visit the river at the WDFW access point. 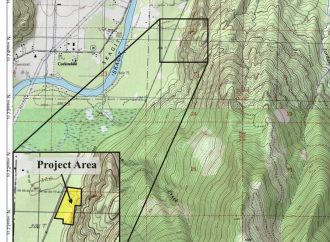 A parking lot just off Highway 530 would allow fishermen, birders, eagle-watchers, walkers to continue access to the river (away from the highway) and be an addition to Skagit County trails and walking opportunities. 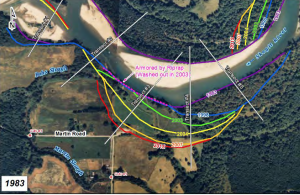 I would like to give you feedback regarding the Martin Road erosion study and recommendations recently developed by the Public Works department. I’ll submit these to that department as well, but I also want to communicate directly with you regarding this matter. You’ve probably noticed that governmental entities tend to define and address issues in the context of their charters, or how they see their roles and responsibilities. They also tend to be somewhat myopic, typically as a consequence of limited resources and being short term problem solving oriented. This Martin Road issue is a good example of how such a restrained approach may be counter-productive or less optimal than it might be if responsibility and accountability for the broad range of public services were embodied in one entity with a longer term systems orientation. 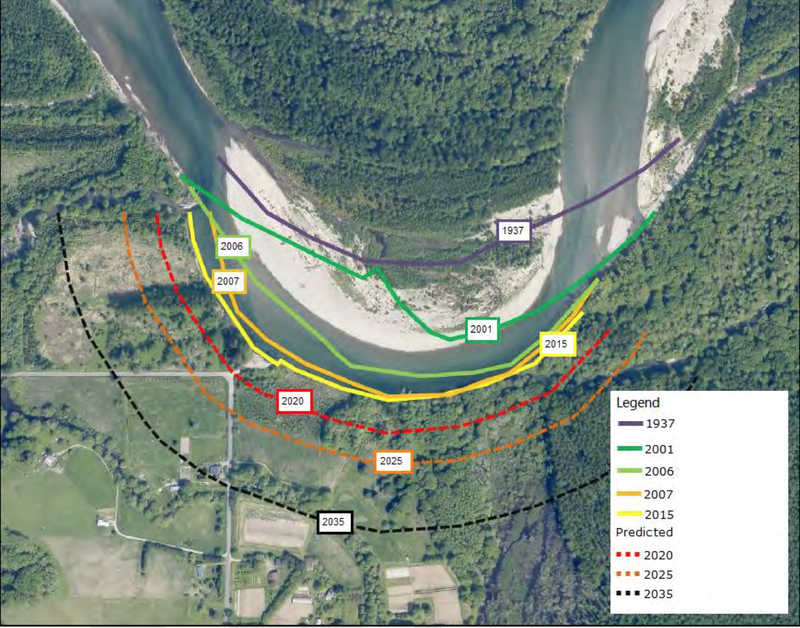 I’m hearing that there is a risk of the Skagit River evading its current path under the 530 bridge, creating the possible necessity of building a new bridge or otherwise creating forces that would cause the Skagit to continue under the bridge. So, I’m wondering if a bigger picture evaluation of the river situation might be in order, a study in which the state, county and other agencies collaborate to determine what is most appropriate? The Martin Road study basically focuses on a specific location on the river where the Martin Road is threatened, but it might be a good idea to step back and look at a larger segment. Perhaps there’s an opportunity here for you to lead productive inter-agency study work that yields the best result for our area. Permit me to make two specific suggestions regarding the study findings. First, I’m hearing from my neighbors in the vicinity of Martin Road and Stafford Lane that the study finding regarding travel time to the intersection of Martin Road and 530 from our particular location is flawed. The study finds a point near us where travel time to that intersection is essentially equal regardless of which direction on Martin Road a driver follows. We have many of the volunteer firefighters and emergency responders living here and they are saying that when they respond to a call, their travel time north on Martin Road is about the same as someone leaving from the intersection of Rockport Cascade Road and 530, a dramatically different experience of reality. In their judgment, abandoning Martin Road will definitely increase travel time for them to the fire department. 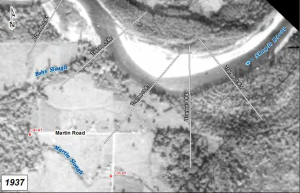 Second, in the event it is decided to abandon north Martin Road if the river takes it, I recommend that the county consider acquiring right of way and building a new road from Martin Road west to 530. In my view, an evaluation of this alternative should be included in a revision of the current study. 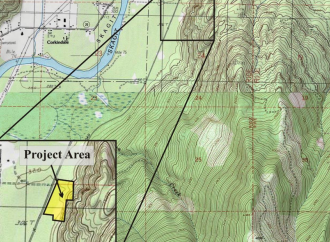 1) I recommend that Skagit County Public Works select the Martin Road Abandonment alternative as described in the 4.2 analysis. It is a sad reality to lose part of this old road. But the river is–and will continue–to have its way so it is a practical approach to close the road as part of the larger culvert/fisheries enhancement project. The Bank Hardening alternative cannot be justified either financially or from a practical approach. 3) When removing the culverts, please consider adding a pedestrian bridge over Martin slough at its west end. This would at least maintain an element of use of Martin Road for pedestrians. 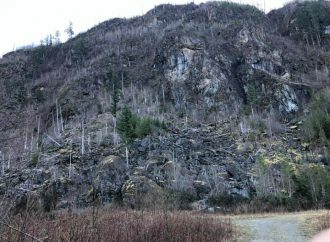 There are many people, both local and from elsewhere–Eagle watchers, Audubon members, fishermen, exercise walkers—that walk the road and use what is remaining of the WDFW site at the corner. Maintain the parking lot just off Highway 530 for this continued use. This would maintain an important element of Skagit County trails and walking opportunities. An example of a commercially available pedestrian bridge is the Gator Bridge by CMI. 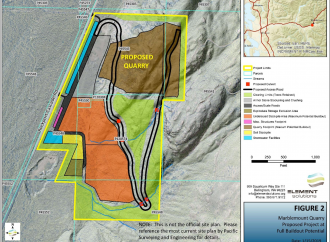 The loss of north bound access to highway 530 is of no consequence to us. We will still have adequate travel south bound and should an emergency arise at my home, we feel that EMS will still arrive as rapidly and efficiently as they can. Martin Road Alternatives: I support alternative #2 with some caveats . . . This plan has recently been given added weight based on the recent 9th U.S. Circuit Court of Appeals reaching a unanimous decision upholding a 2013 ruling ordering Washington State to replace culverts to allow salmon into streams. If the money is available, do it now. The benefits for Skagit River fishermen and tribes possibly outweigh the inconvenience of a road closure (a few years before the inevitable closure due to the rate of Skagit River erosion on Martin Road). Until the road access is lost (at a nearby corner) due to river erosion, I think the road abandonment should be delayed to continue to allow WDFW access to the river from the south end of Martin Road for the next 1 to 5+ years. The parking lot is large enough for a vehicle turnaround. The location is in the floodway and will itself be eventually eroded away, hence a waste of effort and tax money. Rather, end the road further south of the last house in the flood plain while allowing local access to that one house. Living in a house furthest north/closest to the river flooding, this would be a benefit for us. This presumes that the EMS people decide there is a need for faster access to houses on Martin Road compared to the access at the south end. Being a said resident of 11488 Martin Road, an additional 4 and ½ min. of travel time would not be a problem for me. I would support pedestrian access over the opened slough to the WDFW parking lot and adjoining land. Many citizens of Rockport as well as state park campers currently walk and bike to the river and adjoining land. Also, neighbors on Martin Road could access Rockport by walking or biking using a pedestrian bridge.